Marcus Markley Thames (born March 6, 1977) is a former Major League outfielder and designated hitter; he played for the New York Yankees, Texas Rangers, Detroit Tigers and Los Angeles Dodgers from 2002 through 2011. Thames was actually drafted by the Yankees in the 30th round of the 1996 Major League Baseball Draft. Thames made his New York Yankees debut in June 10th of 2002 hitting a 2-Run homer off of Hall of Famer and household name Randy Johnson. For his career, Thames averaged a home run every 15.9 at-bats and holds the Detroit Tigers franchise record for average at-bats per home run, at a rate of 14.8 home runs per at bat. Thames has some coaching history within the New York Yankees organization. In 2013, Thames was named the hitting coach of the Class A-Advanced Tampa Yankees. In 2014 season Marcus Thames was then named the hitting coach for the Double-A Trenton Thunder. In 2015 Marcus was a candidate for the hitting coach job as well as a new coaching staff position of assistant hitting coach. Ultimately Thames was named hitting coach for the Scranton/Wilkes-Barre RailRiders the Yankees Triple-A team. Following the 2015 season and the prompted departure in the one game Wild Card against the Houston Astros, the Yankees dismissed former hitting coach Jeff Pentland. Pentland’s assistant hitting coach Alan Cockrell was given the job, and Thames was called upon to be his assistant for the 2016 and 2017 seasons. Peter John Pilittere (born November 23, 1981) is a former Minor League Catcher and First Baseman. Pilittere played college baseball at California State University, Fullerton and was a member of their 2004 College World Series championship team. He too was drafted by the New York Yankees in the 13th round of the 2004 Major League Baseball Draft. Pilittere played in the Yankees’ organization until 2011. After his playing days were over he transitioned into becoming a coach for numerous teams in the Yankees minor leagues system. 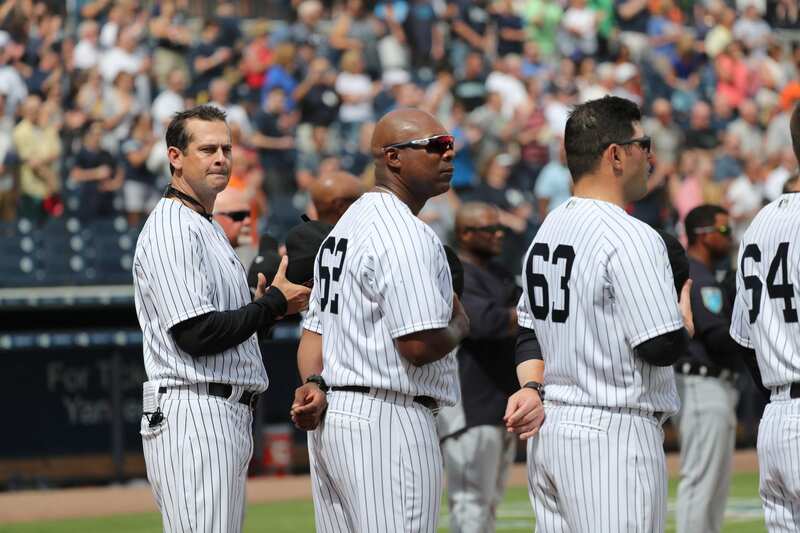 Ultimately coming aboard Aaron Boone’s coaching staff and working with Marcus Thames as assistant Hitting Coach. Hitting Coaches? What Do They Do ? Hitting coaches instruct players on matters related to hitting, such as batting mechanics, plate discipline and preparation. Hitting coaches in today’s game leverage video footage to prepare hitters for opposing pitchers and to help identify flaws or bad habits in hitters’ at-the-plate approach. Every Major League club has a hitting coach, and some also employ an assistant hitting coach. Both Thames and Pilittere will have a fun lineup to work with as it’s full of big power. These guys will be called upon to help keep players out of prolonged slumps and to help the young players mature into successful hitters at the plate. It will be expected that this lineup will produce a lot of runs and hit a lot of home runs as well. Thames and Pilittere will be expected to help that process stay as consistent as possible all season long.